These days a lot of people get into affiliate marketing because it’s an excellent way to earn money with little to no cost. Contrary to what most get-rich-quick programs and so-called gurus say, affiliate marketing takes time before you see solid results since how fast you make money from it depends on many factors. I broke 4 figures when my Amazon niche website turned exactly 1 year old. … And for my friend Dylan it took 7 months to make $4550. What Are the Factors That Affect How Much You Earn from Affiliate Marketing? As you saw above, for me it took 1 year to make $1585 and for my friend it took 7 months to make $4550. Though if I’m completely honest, he wrote a lot more content on his website than I did. There are a lot of factors that determine how fast you’ll reach your goals and how successful you will be. If you want to make money fast with affiliate marketing with somewhat minimum effort, you must choose a niche that has low competition. Niches that have low competition are those that are unique and cater to a very specialized and targeted market. Begin by searching the web with a topic you’re comfortable with and see if there are already many websites discussing it. There are also tools that can help you with this. If that’s where you’re comfortable with, then go for it! Remember though that time and effort are directly related to how fast you can make money. If you want to be at the top of the competition, be prepared to put in more time and effort, which leads us to the next factor below. Like any other businesses, you must invest first in order to reap your first few dollars. For most affiliate programs, you are free to join, so the only capital you’ll ever really need is your attention. This includes the amount of time and effort you put into writing content or promoting in another way. It’s a combination of quantity, quality, and techniques. There are two business models that affiliates can use: a resource site or a review site. Both models require regular publishing of content because this is where the affiliate links are embedded. In a resource site, the content is usually composed of how-to and general info articles. In a review site, the content mostly features product reviews. To ensure that people see your site, you must regularly publish content. Aim for at least three posts, with 1,000+ words each, a week. Regular publishing of content is what helps attract readers (a.k.a. potential buyers) to your site, but what makes them stay and buy is the quality of your content. How you write and talk to your readers will determine the depth of trust they’re willing to give you in order to click that “Buy” button. Thus, it is important to write content that’s original and loaded with great value. No matter how good your content is, if it does not reach your intended audience, then it’s as good as useless. This is why it is important to get lots of traffic coming into your website. How quickly you achieve this will directly affect how fast can you make money with affiliate marketing. This is where SEO and link building come in. You have to optimize your content so that the search engines will recognize it and rank it higher on the search results. You can do this by placing strategic keyword phrases within the text, putting meta tags, and so on. Now that you’ve chosen a niche and learned how important it is to create regular, high-quality, and search engine optimized content, the next thing you must focus on is maintenance. Keep publishing content that has the above qualities, and you’ll soon appear on the first page of search results. How long this takes; no one can tell. Some experts believe that it is largely dependent on Google Sandbox. New sites are kept on this imaginary area (like how parents leave a child on a sandbox to play) for a certain period until they have established themselves enough to be recognized as relevant. Based on my personal experience, usually it takes about 6 months. Once a site passes this filter, it is now allowed to rank well. This is where most beginners in the affiliate marketing industry fail. Once they’ve gotten out of the Google Sandbox and have ranked high enough, they lose momentum and stop making quality content. One thing that you should know is that rankings are not fixed; it continuously changes over time. Google Dance is the period when Google updates its rankings that usually lasts for three to five days. Like Sandbox, Google Dance is also quite a mystery as no one exactly knows for sure how they determine the rankings of websites. During this period, rankings rise and fluctuate greatly. You may rank first today and rank the sixteenth the next day. That’s why it is important to be consistent so that you won’t lose your rank. It also more common with newer sites than with established websites that proved themselves good in the eyes of Google. The short answer to this is—it depends. 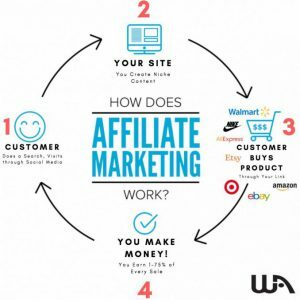 If you’ve considered each factor, then you’ll have a rough estimate of how long it will take before you get your first income with affiliate marketing. You have control over the first two factors, which are your niche and the amount of time and effort you invest, but not with the third factor, Google Sandbox and Google Dance. Assuming you have chosen a low-competition niche and worked solidly and consistently to publish content, then you can begin ranking and earning approximately within six months, which is the average period. Do note though that this will still vary. Some people make their first sale in just three months from the time they started, while some took a year. How long does it take to be a successful affiliate marketer? How can I get started the right way? If you do, then what I’m about to share might change your life. One of the things that I constantly say is that you need proper guidance if you want to get started the RIGHT WAY and increase your chances of making money sooner than most people. Personally, I started my online journey with Wealthy Affiliate. It’s a very newbie-friendly community that teaches you step-by-step how to make money on the Internet. It has all the tools and services you need “under 1 roof”. You can test-drive an ENTIRE platform for FREE. I’ve been a member for over 3 years and I attribute my success to Wealthy Affiliate. This was, is and will be my #1 recommendation for beginners and advanced affiliate marketers alike. 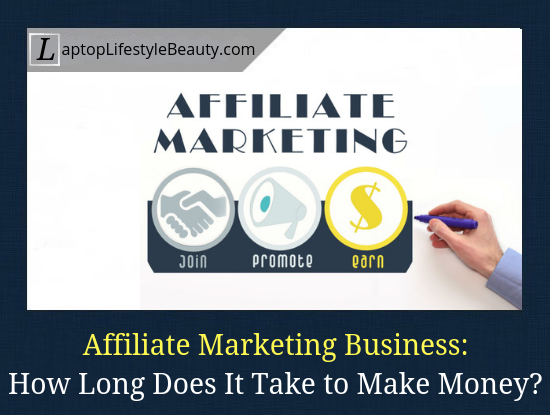 How Long Does It Take to Make Money with Affiliate Marketing: Your Thoughts? Those who started making money from affiliate marketing in just a short period of time may have chosen a particular niche and dedicated their time to publishing quality content. This approach (relevance plus quality) may also be the reason why Google Sandbox could release it faster. Hence, be realistic in assessing the factors mentioned above. If you really want to pursue a niche that you’re passionate about but is very competitive, expect your first earnings to come a bit later since there could be many other websites offering the same product. If you also know that you can’t commit as much time and effort, then making money from affiliate marketing will also take time. Do you have some idea about AF and SEO, or are you a total newbie? If you’re an experienced affiliate marketer, how fast did you hit your first 4 figures? The main purpose of this blog is to share my experience and guide you through the getting started process and essentially build a business that travels with you. View my #1 recommendation by clicking here. Such a great article and honest breakdown, affiliate marketing does take a little time and effort to get the ball rolling. It took me about six months of work to hit my first 4-figure month from affiliate earnings. I don’t have an Amazon niche site though, but I hear good things about that route too! Hi Cate, thank you for sharing your experience! It’s interesting how different the results can be, depending on how hard (and smart) you work. Honestly, before Amazon niche site I’ve had a couple of failed websites, though again, if I’m completely honest back then I was lazy, distracted and didn’t work as much as needed. Part of the problem was that I didn’t take it seriously, as a BUSINESS. Which is what it is. I am on my third month and I haven’t seen any result as of yet. Probably because I couldn’t devote enough time working on my site. Thank you for sharing your experience regarding affiliate marketing. I wish you more success! It took me exactly 5 months to make the first $50. While I know some people manage to make money faster (and a lot more than 50 bucks), for most it takes at least 6 months of consistent work and content publishing. And of course, it’s important to know proper SEO and all that. (I personally focus on organic traffic from Google but still yet to learn about Pinterest, for example). If you are a beginner, I HIGHLY recommend you check out Wealthy Affiliate. It’s one of the best platforms you’ll come across, especially when it comes to all things blogging/affiliate marketing/content business. If you’ll sign up through me, I’ll automatically be assigned to your as a private coach and I’ll be able to guide you around within the community (I’ve been a member for over 3 years). Anyway, I hope you see some real progress very soon! Laptop Lifestyle Beauty Copyright © 2019.